The Animal Shelter is holding open days! Come on down and meet all the dogs, puppies, cats and kittens that need FURReverrrrr homes. All animals will be discounted to half price at the Open Days and the friendly Townsville City Council staff that look after all the Animal Shelter animals will be there to answer any questions. Don’t miss out - you will be spoilt FURR choice. 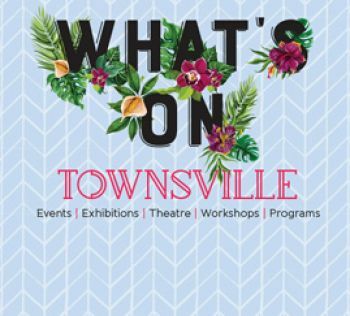 For further information visit What's On Townsville. All pets have their own personality, however it is important that you select the animal that best complements your lifestyle. The type, breed, where you live, how you live, and what you want from a pet, should all be factored into your choice. Identification - ensure your cat wears a collar and identification tag bearing your address or telephone number or by having your cat permanently identified by microchip implant could save you a lot of heartache. De-sexing - cats confined to their property are less likely to be hurt in fights and pick up diseases from other cats. They are also less likely to be hit by cars and annoy neighbours. Vaccinations - When you purchase a cat ensure you obtain a vaccination certificate to ensure its vaccinations are up to date. Cats should also have a check up with a vet once a year to ensure they are healthy and worming and vaccinations are current. Confinement - Cats are instinctive hunters. You can protect wildlife in your neighbourhood by confining your cat to your property and placing a bell on your cat's collar. Strays - Unowned cats are a significant source of nuisance in the community. Council strongly encourages people to either be a responsible owner and take the cat in or take it to the animal shelter. If your neighbour has a roaming cat, you can notify them with this letter. Are you a cat breeder, hobbyist, fosterer or own multiple cats? Council is now actively engaging all owners within the Townsville City Council region to ensure that the relevant approvals are in place in accordance with Local Law No. 2 (Animal Management) 2011. Read our fact sheet for more information. Barking - All dogs bark, but some barking dogs become a real neighbourhood nuisance - greatly reducing the quality of life for their neighbours and increasing neighbourhood tensions. Barking dogs is the most common animal behaviour problem Council is asked to deal with. Find out about how to manage barking or make a complaint. Hole proof so your dog can't escape through it. Pet litter - Leaving pet litter in a public place is not only unpleasant and unhealthy, it's against the law. Council has provided dog litter bags in some public areas across Townsville including the Strand, Castle Hill, Ross River Walkway and designated off leash areas. If walking in an area where bags are not provided, you are responsible to take your own with you. Leashes and Exercise - Dogs must be leashed at all times in public places to help control them more easily and to increase the safety of other animals and people. Remember that many people are frightened or annoyed by dogs that are not leashed; you should always be considerate of other people. Council provides a number of off leash areas for dogs around the city. Read our fact sheet on leashes and exercise or find out where your nearest dog park is. Are you a dog breeder, trainer, hobbyist, fosterer or own multiple dogs? Council is now actively engaging all owners within the Townsville City Council region to ensure that the relevant approvals are in place in accordance with Local Law No. 2 (Animal Management) 2011. Read our fact sheet for more information. It is up to you to plan ahead and to prepare for the safety and welfare of your pets, livestock or other farm animals well before a natural hazard affects your home or farm. By acting early, you will avoid unnecessary danger and anxiety. Although individual needs will vary, the following advice is intended to help you decide the best plan for your circumstances and region. Find out more about disaster information for yourself, your family and your pets. The following pets have been rescued from the streets of Townsville. They have not had registration disks or any form of identification on them to allow us to return them home. If you believe one of these pets is yours, council must be contacted within five days from the date found. To reclaim your pet please contact Council on 13 48 10 or 0457 769 362. You will be required to provide officers with proof of identity prior to the rescued pets being released to you. The keeping of Livestock in the Townsville region is governed by Local Law No. 2 (Animal Management) 2011. Livestock are administered under the same laws as all other domestic animals. These laws require animals to be kept upon their own land at all times and are not allowed to wander or stray from their enclosures. These animals are to be kept in accordance with the law and must not cause a nuisance. The Alaskan Malamute is powerful, independent and strong-willed. Malamutes are usually quite dogs who bark less but do howl like wolves. These dogs should be friendly, extremely attentive and extraordinarily devoted. They need a firm, confident, consistent owner who understands how to display proper leadership. Naturally suspicious of strangers and will protect the family and possessions with their life. The Kelpie is extremely alert, eager and highly intelligent and will want to be your constant companion, but must have clear defined boundaries. Aussies are “people” dogs that thrive on human companionship. The Australian Silky Terrier has a fine silky coat that will not shed hair and does not have a doggy smell. Beagles need much more exercise than most owners give them which are why you see so many Beagles overweight. The Bichon is a small sturdy white powder puff. The breed is considered to be “non-allergenic” by many people, and so may be the ideal dog for people with allergy problems. The Bloodhound is very stubborn, disobedient and is a “pack hound” and therefore does not like to live alone. Border Collies are a loyal, loving family pet that is highly intelligent, with an instinctive tendency to work and is readily responsive to training.